So, you like the Stampin' Up! products and can see yourself doing a bit more with them? That's exciting, and clever you! Stampin' Up! caters for all sorts of demonstrators. Some people want to make cards and sell them and they plow their profit back into getting more stamps/ink/paper so they can make more cards. Some people want the demonstrator discount for a while as they build up their craft stash. Some have regular papercraft afternoons with their friends and want to be able to source the Stampin' Up! products more easily and even pass on the demonstrator discount to their friends. 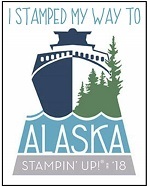 Some want to be able to attend Stampin' Up! demonstrator only events (they are awesome! ), some just want to meet new stamping friends. And some, like me, want to turn my hobby into a real business, building a team, selling lots of stamps/ink/paper, setting business goals, earning the incentive trips and other rewards . 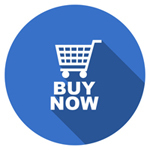 . .
And the best bit is, your start up fee is a once off, very generous buy in price on a starter kit that includes products which are totally your choice, and if you never do another thing, you just keep the products and that's the end of it, no risk, awesome discount on your first bundle of products! Well, you select $235 worth of products - I always tell people to write their wishlist first. When you've decided what you want for $235 (without going over), then you go to the join now link which your chosen supporting demonstrator (or new team leader) will send to you, set up your account and add your products in. You will ONLY pay $169.00 for your $235 product selection (a $66 saving), you will get free postage on it and you will also receive a complimentary business pack valued at around $80 which includes catalogues, order forms, postcard invitations etc to help you get started. Those who join in May (this month) will receive 2 boxes of catalogues in their business kit, 1 box of the 2017-2018 catalogues and a box of the brand new 2018-2019 catalogues. Another benefit of joining in May is being able to get brand new "pre-order" products in your kit. These are products that are not yet available to the general public as they are coming in the new catalogue which starts on June 1st. If someone joins now, they can select some of these new products to get a head start. What about me and my team? Why would you want to join under me, instead of someone who lives a teensy bit closer to you? There is definitely a benefit of living close to your team members as you get to meet in person, stamp together, borrow each others supplies etc. There is also a disadvantage if you and your team leader are both wanting to build a business and you live in a small country town - you become each other's competition, vying for the same small pool of customers - that can get awkward. I have a mixture of team members. Living in Melbourne's Outer East, I have quite a few team members fairly nearby. I also have a dozen or so team members in regional Victoria, from the Gippsland farming areas, right across to the Western Districts and the central goldfields and Murray River regions. We also have around 10-11 team members across Tasmania (I grew up there and had a foot in the door for recruiting my sister and another dear long time stamping friend who have both grown teams since they joined). We also have team members in WA, SA and Qld. I communicate with these lovely ladies via a secret Facebook group where we share lots of ideas and inspiration. I try to do a regular team email newsletter, and those who are directly recruited under me also get a great newsletter and team forum from MY team leader (the demonstrator above me), who is also a very active business building demonstrator. We have a monthly team night which we will often set up Group Skype and chat to some of the Tassie and country girls, or at least Facebook Live video some of the team night so they can watch what we are doing and participate. At team night, we generally stamp and chat about all things Stampin' Up!, share some techniques, show and tell, eat chocolate, plan get togethers. It's very casual and fun and we try to share lots of photos onto the FB group during the evening for the benefit of those who can't be there in person. At new catalogue time we organise product shares among the team, so people can get a good selection of papers/ribbons/embellishments without having to buy the whole lot. And we will often organise swaps, card front swaps, or technique swaps where say 6-8 members will have a theme. Each member will make 6-8 identical projects then they will all swap with each other so everyone ends up with 6-8 completely different projects all on a theme. This is great for inspiring each other, for seeing products being used which we might not have in our collection yet, building up a collection of samples to display at our parties, classes and events - projects which might be quite different to what I would normally make, but which my potential customers may love. Best of all, we have built this gorgeous stamping family of women who love creativity, who love getting together to stamp, who love sharing their creations on our team forum, who love supporting each other, creating for various charity causes, creating for themselves . . . it's beautiful! There are several places on the world wide web where you can see who I am and what I do! I am on Instagram : https://www.instagram.com/kathrynruddick/ where I intersperse my crafty photos with photos of my gorgeous cat, our chooks, my stamping events, travels and food! I made this display board for On Stage using all products from the Share What You Love bundle. Well, that's a lot of information . . . If you want to chat over the phone, feel free to give me a call on 0418 361 931 during the day or message me if you'd prefer I phone you back.